Teeter totters, swings, jungle gyms, see-saws and sandboxes are the things childhood is made of. Build sand castles or drive trucks through the sandbox desert with your kids. Take advantage of the kiddie swings for toddlers or watch your bigger ones soar to new heights on the big-kid sized swings. 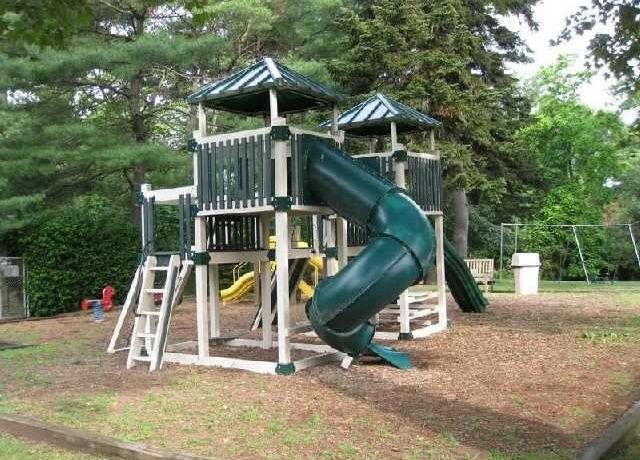 Or enjoy our modern jungle gym with ropes, ladders, a climbing wall and slides. A treasure trove for a young one's imagination and a diversion to allow parents to relax while their kids relish in the glory of our play area.